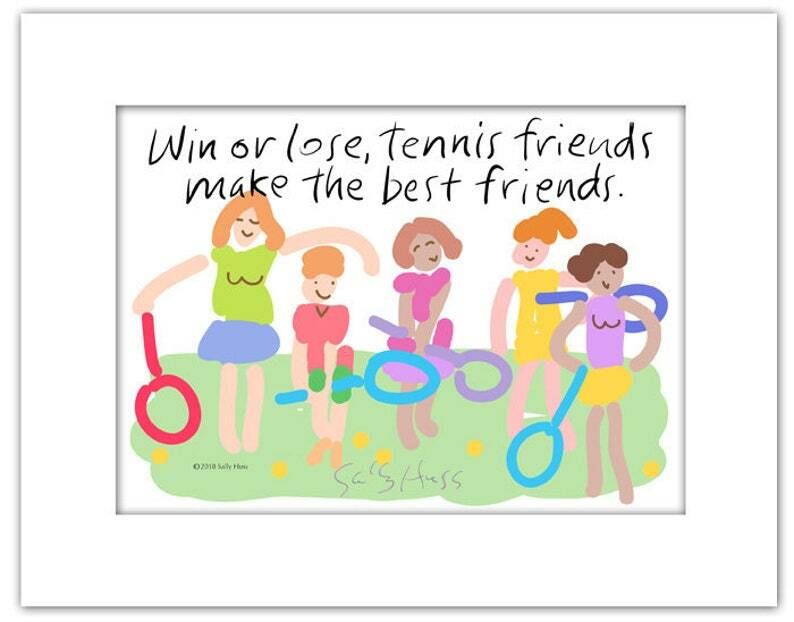 Some of my best friends have come through tennis. If you're a tennis player, it's probably true for you. I think this is a great thought to give to one of your tennis friends or league partners. It's a happy reminder. I've created it in a hand-signed format so that it will fit easily into an 8"x10" standard frame. Enjoy!